This interactive presentation contains the latest oil & gas production data from all 6855 horizontal wells that started production in the Niobrara region (Colorado & Wyoming) since 2009/2010, through August. About 70% of all oil production from these wells comes from a single county: Weld in North Colorado. That makes this county the 2nd largest oil producer from horizontal wells in the US, only behind McKenzy county in North Dakota. As you can see from the above graph, oil output is up significantly in this region, and if you set the “Show production by” selection to “County”, you’ll notice that also for this Weld county has been solely responsible. More than half of total output came from wells that started production in 2017. In the “Well status” overview, we can see the most important reason behind this growth: drilling and completion activities have strongly accelerated in 2017. More than 100 new wells are put on production each month, compared with ~65 in 2016, and the pace appears to increase further. The last tab shows that the top 5 operators all increased production in 2017. This “Ultimate Recovery” overview shows that wells since 2012 are on track to produce 100-150 kbo before hitting a production rate of 10 bo/d. Due to improvements in initial production rates, the wells that started in Q4 2016 already produced over half of this recovery range in their first 9 months. As associated gas production is fairly high compared with other basins, and maintenance costs lower due to shallower depths, the economic limit for these wells is probably also lower in general. The 2nd tab (cumulative production ranking), ranks all wells by cumulative oil production. There is now 1 well that produced more than a million barrels of oil, the Nine mile 1-1TH in Cambell county (WY). It started production just over 2 years ago, and is still producing at a rate of more than 300 bo/d. 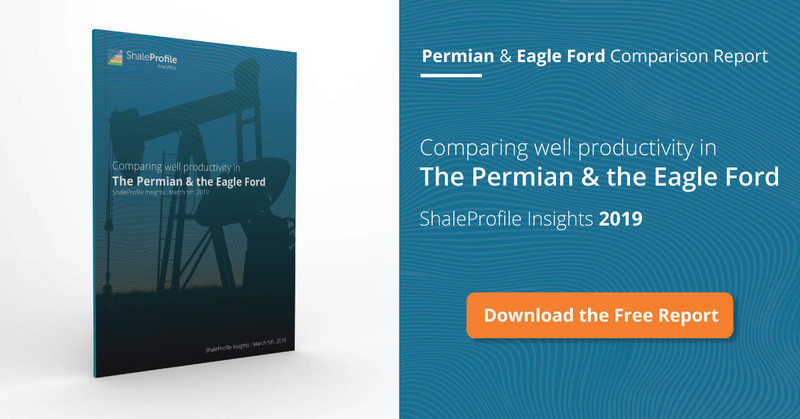 On Tuesday I plan a new post on the Permian, followed by one on the Eagle Ford later in the week. This is beautiful data. Thank You for your work on this. Thank you for your comment Shannon!